Oklahoma’s eight-year strategic vision for education, Oklahoma Edge, and the groundbreaking statewide summit, It Starts Here: Trauma-Informed Instruction, both rolled out by the Oklahoma State Department of Education, bring hope for the health of our students and their future academic success. The raise in our paychecks brings hope for competitive salaries. Increased teacher involvement in the political arena brings hope for future pro-education laws. However, I believe the greatest hope for the students of Oklahoma lies with our teachers. As I travel to various school sites, I love entering a veteran teacher’s classroom that’s full of youthful energy and passionate instruction. The years of experience can be seen in the fluid progression of a lesson and the calm demeanor during a crisis. We are the models for our younger teachers demonstrating what a great lifetime profession teaching can be. Our younger teachers are watching and listening. They need our expertise, encouragement and caring shoulder to lean on when the “weary meter” starts to edge closer to “overwhelmed.” We are the voice of experience on how to navigate the pressures of their personal and professional lives. We know because we have lived through it. For some of our younger colleagues, we are their hope. However, if we want to see our long-term hope of becoming one of the top states for public education, younger teachers are an integral part of the pipeline to success. We have outstanding young talent here in Oklahoma, represented by our newly crowned 2019 Oklahoma Teacher of the Year, Becky Oglesby of Yukon Public Schools, who has expertise far beyond a teacher only entering her eighth year in our profession. 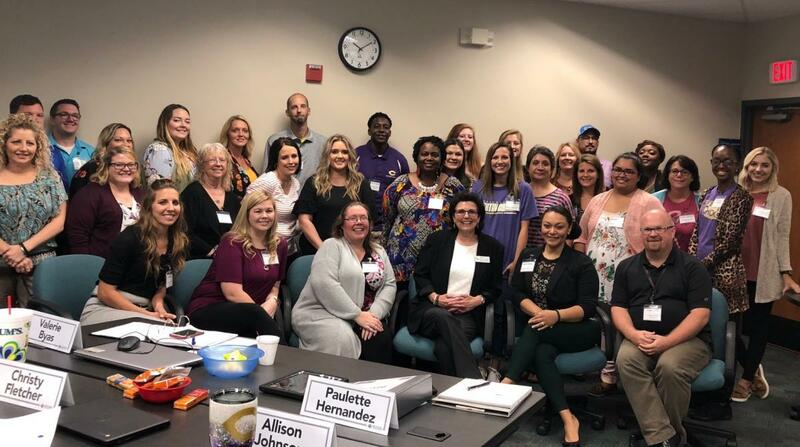 I recently had the opportunity to participate in First Class, OSDE’s professional development cohorts of first-year teachers. They are eager to implement the newest methodology and technology and can create a classroom culture today’s youth can quickly relate to. All of the above is true. Rodney understands minority students and their struggles because he lived through them. One of his parents served time in prison. He was raised in a poverty-stricken area where there were not a lot of role models besides his teachers. As he stated in class, statistically, he should be in prison. Instead, he’s standing in front of a class modeling how to overcome adversity and successfully reach your dreams. He teaches, and he leads. But he’s not alone. I’ve witnessed this repeatedly from our young teachers. They exude passion and aren’t afraid to tackle the tough challenges in public education today. They give me great hope. Our young teachers are doing an excellent job – so excellent that neighboring states and the private sector will be knocking on their doors trying to entice them from our Oklahoma classrooms like so many before them. What are we going to do about it? A one-time raise will not keep them here. We’ve already witnessed that as the state has scurried to fill thousands of positions through emergency certification. We must properly fund our education system and provide the adequate tools, acceptable class sizes and support services our students need. If we do, we have a far better chance of keeping our talented younger teachers in Oklahoma where their passions lie. Rodney Cox, a teacher at Putnam City West High School, attends the Oklahoma Teacher of the Year ceremony with his students. 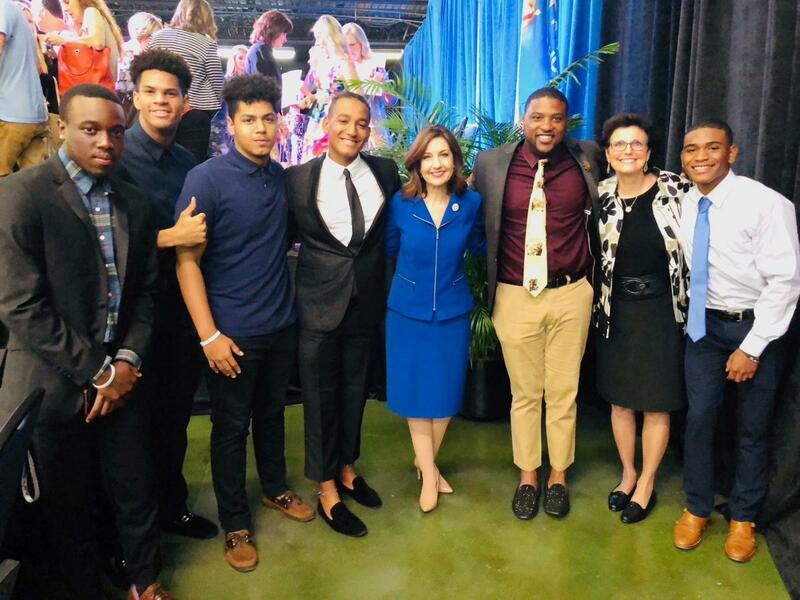 Pictured: Kyler Trotman, Julian Taylor, Espoke Long, Andre Campbell, State Superintendent of Public Instruction Joy Hofmeister, Rodney Cox, 2018 Oklahoma Teacher of the Year Donna Gradel and Julon White. 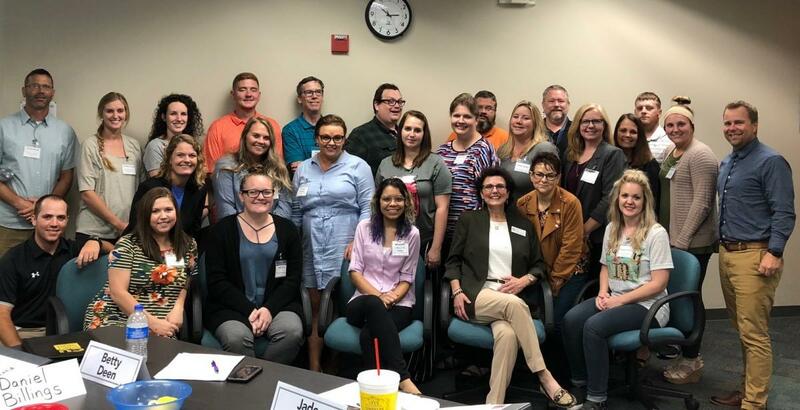 First Class, OSDE’s elementary cohort of first-year teachers, poses with 2018 Oklahoma Teacher of the Year Donna Gradel. First Class, OSDE’s secondary cohort of first-year teachers, poses with 2018 Oklahoma Teacher of the Year Donna Gradel. 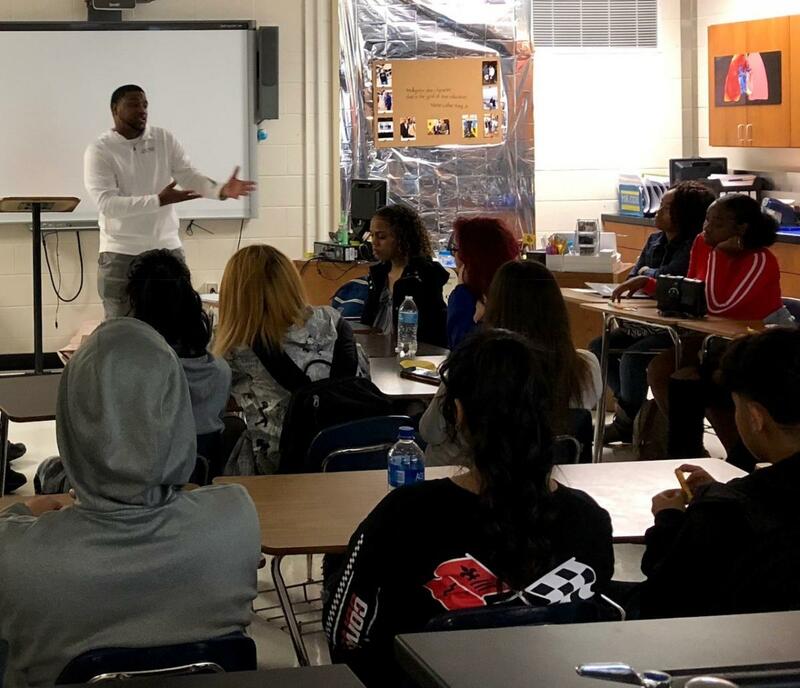 Rodney Cox teaches at Putnam City West High School.